This deed, with a colorful name, is a very handy tool. A lady bird deed transfers lifetime interest in your property to you making you the life tenant. The deed names a remainder beneficiary who has a future interest in your property upon your death. Your remainder beneficiary can include multiple people, trusts, or organizations. You can change your remainder beneficiary at anytime. As the life tenant, you still have the right to sell, gift, mortgage or otherwise dispose of your property without the consent of your named beneficiary. A unique benefit of lady bird deeds is the automatic transfer of your property upon death thus avoiding the need for probating the transfer through the court system. Medicaid Asset Protection is another benefit of using lady bird deeds. 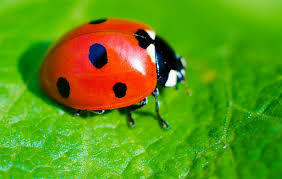 Property transferred with a ladybird deed is not subject to a Medicaid lien on your probate estate. Why the name lady bird deed? A law professor simplified the legal name, Enhanced Life Estate Deed, in honor of former U.S. President Lyndon Johnson’s wife, Claudia ‘Lady Bird’ Johnson.